3 Steps to Selling Anything in this Economy. Be Known for Something : Discover Your Church Communication Thread / Business Essentials / 3 Steps to Selling Anything in this Economy. This week I bought a shed. And learned a great sales plan in the process. 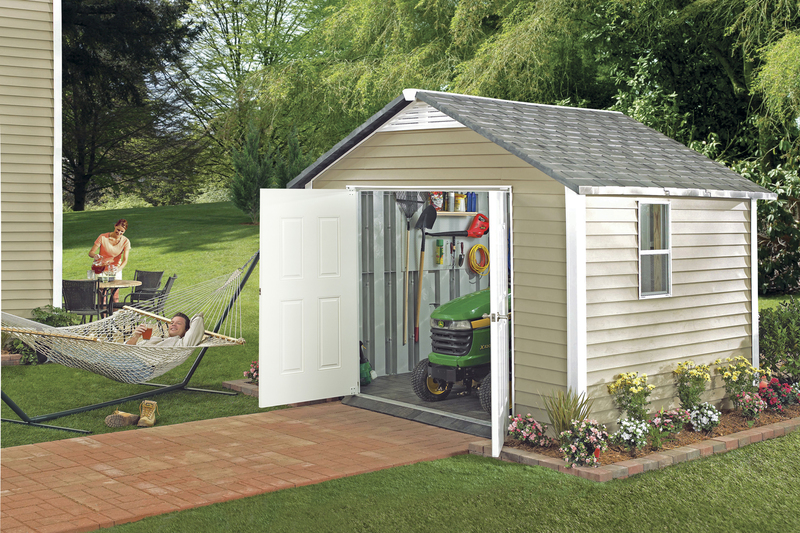 I’ve been needing extra storage space and I’ve been considering buying a shed kit from Lowes. It sounded like a fun family project to work on. Plus the kids could learn how to put an outdoor structure together. They weren’t as excited as I was. I ended up buying one from someone else totally unexpected. Didn’t know them at all. But they presented their product so well that I bit. They put it where I would see it. The guy is a home-builder. He really wants to build homes but in the down market, he started building sheds. And leaves them by the main road. He simply puts a simple “for sale” sign on it. And he says that they sell quickly. Maybe you should consider a lower cost product that you can use your expertise to produce. Then find the place where your potential audience will see it. Could be a newspaper, a website, or in a building. Then advertise. They knew the benefits. When I talked to the guy, he knew his key reasons I needed to buy from him: a) He’s a house builder making sheds to the quality of a house, b) It’s completely built and he can deliver it today; and finally, c) the price is about the same as the kit you’ll buy at Lowes. Sweet! Quality. Instant Gratification. Value. Do you know your key benefits? This guy in less than a minute rattled these off to me. It happened so fast, and it seemed so obvious, I had to make a decision to buy. Extras made the price sound even better. In the discussion, he told me that for a little extra he would paint it to my liking –to match our house. Hmmm… it was enticing, but I thought, “my kids can paint it for me”. Then he added, “I’ll buy the paint you choose and paint it for $50. Wow. He had me. Sold. That little extra, clenched the deal. Sometime, you can “top a product or service off” with something that doesn’t seemingly make you money. But it does! It wasn’t the only thing, but it sealed the deal. And left me feeling great about the purchase. I got my shed and they installed it and painted it. I’m very happy. But since I had the whole weekend blocked to start working on my shed kit, the kids and I got to put in shelves and organization stuff. Yep. They didn’t get off without a little manual labor and family bonding time.